Download the standardization of terminology document. The EMV Migration Forum Communications & Education Working Committee developed this document to define a set of standard terminology to enable clear recognition and understanding of information for industry stakeholders and consumers. The document includes recommendations for common EMV and EMV migration terms that would be used in stakeholder communications. While all U.S. market stakeholder groups were considered in the development of this list of terms, technical terms have been limited to those that would be used in educational and marketing communications. The document includes four columns: Recommended Standardized Term (and acronym if indicated), Also Known As (AKA) terms, Industry Stakeholder Definition and Cardholder/Customer Definition. This document will be updated periodically based on EMV Migration Forum member and industry feedback and experience. 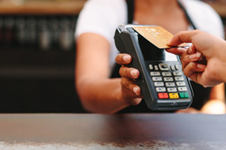 The most up-to-date version will be located on the EMV Connection website at http://www.emv-connection.com. Recommendations for edits or additions to this document should be submitted to [email protected]. The EMV Migration Forum encourages broad use of the terms in this document by all payments industry stakeholders. Organizations may to use these definitions in their own efforts. The EMV Migration Forum grants permission for organizations to re-publish content from this document, in whole or in part and without editing text, in their own publications, providing that the EMV Migration Forum is cited as the source. The EMV Migration Forum is a cross-industry body focused on supporting the EMV implementation steps required for global and regional payment networks, issuers, processors, merchants, and consumers to help ensure a successful introduction of more secure EMV chip technology in the United States. The focus of the Forum is to address topics that require some level of industry cooperation and/or coordination to migrate successfully to EMV technology in the United States. For more information on the EMV Migration Forum, please visit http://www.emv-connection.com/us-payments-forum/.